A few more cards made trying out some new techniques. 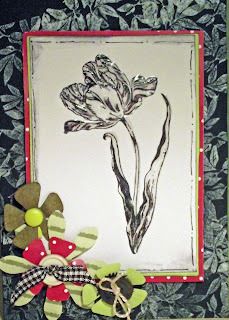 Black Tulip with "Glossy Accents" to add dimension. 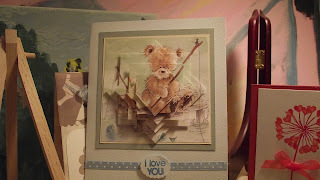 This card has been made using the "Kissing" technique. 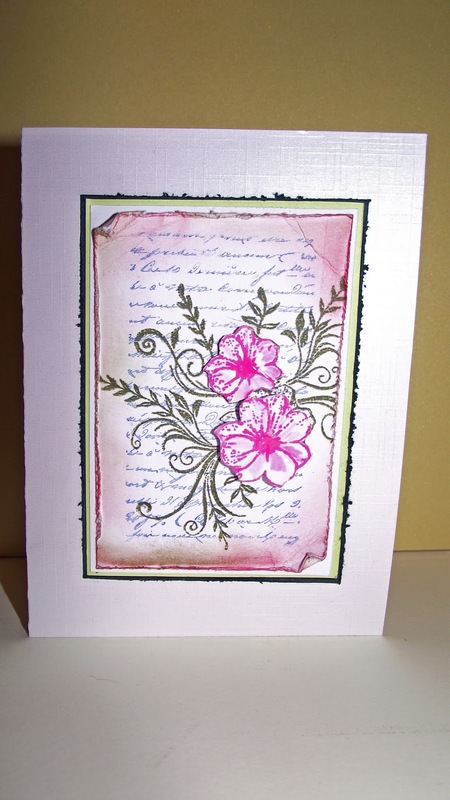 Two stamps with different colours of ink are"kissed" to produce this image. 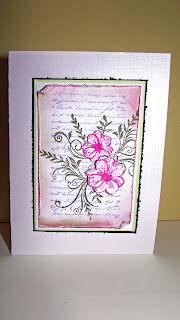 The Flowers are then paper-pieced and added with dimensional adhesive to create the raised effect. 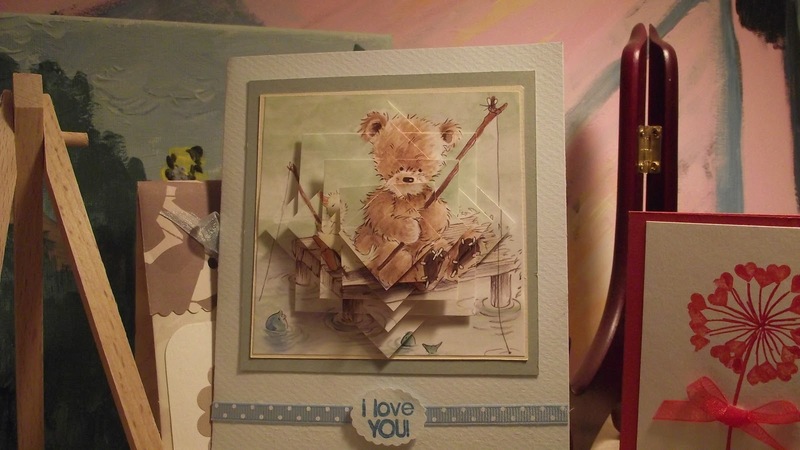 A little bit of "Decoupage" to create this Teddy Bear. I find that 6 layers create enough depth for each image. A steady hand and attention to the placement is important to get the desired effect.